C.A. Confidential: Tun Ova Thursdays @ Sugar Daddy's, Mississauga, ON - Thurs July 5th! 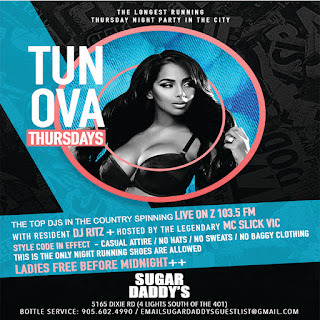 Tun Ova Thursdays @ Sugar Daddy's, Mississauga, ON - Thurs July 5th!